As far as the pending Imperato family DUI’s, there’s not much new to report. Alexander’s is still unfiled, and Jeremy Kroll has been retained. The judicial DUI up in Palm Beach has been set off to March 10th, for case disposition. Will Cindy be going to trial? It’s anyone’s guess. But one thing’s for sure. The JQC is likely to take a hard look at anything that sticks to the elder Imperato, based on today’s publication of the stipulation between the judicial police and Hillsborough County’s resident DUI judge Tracy Sheehan. The Sheehan JQC documents are found here. She’s agreed to a public reprimand, after blowing a .171/.161 following her first DUI arrest during a night out in Ybor City. She did roadsides, submitted to the breathalyzer, accepted full responsibility for her actions, sought help, and apologized profusely. The JQC categorized Sheehan’s crime “an isolated incident“. Imperato, still only accused, refused roadsides and a breathalyzer. She’s currently exercising her right to fight the charges. And, according to the Sun Sentinel, this is her second DUI, after a 1988 arrest in Leon County with property damage or personal injury. It’s unknown at this time if this is a first or second refusal. ” … The judge blew. Would you buy a bible from this woman? Is everybody having fun so far? We’re not. That sickening feeling just won’t go away. Walk into any Broward felony courtroom, and it’ll grip you too, if you’ve got half a heart. Damn near everyone in custody is Black, same as the folks in the pews waiting for their cases to be called. The Drug War and other traditional factors directly linked to the proliferation of poverty in minority communities continue to take a heavy toll. Jim Crow never died, he just learned table manners. So keep the boo hoo hoos to yourself concerning this nasty old JAABLOG. Nobody around here gives a wet noodle. Those in Broward who control absolutely everything couldn’t care less about changing anything, so don’t expect things to be different from us either. If you like to tell other people what to do, we’ll continue to hold you to the same impossibly high standards demanded of poor people who can’t even drive a car without being harassed by the cops. Sure, you’ve got a job to do. And some of you do it well. But it was your choice to climb up that flag pole, where one carelessly misplaced adjudication can fall and crush an individual and his entire family’s future. Call us old fashioned, and certainly Old Testament, since collective punishment is still the order of the day. All of you are interchangeable, just like the case numbers that shield burned out eyes from the humanity underneath. From Tallahassee to Key West, rest assured. If we hear about your foible, you’ll get a star turn, guaranteed. Your idea of the legal profession may be a bordello inspired clubhouse filled with pots of gold, guided by delightful double standards of behavior, and led by powerful apologists. But it was never ours, and never will be. 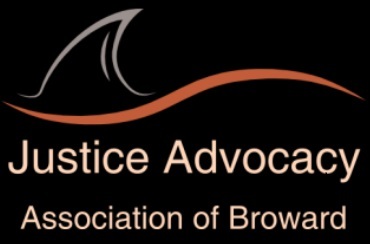 Courage is in short supply in the face of glaring racism, seen everyday in Broward courts, and unlikely to change anytime soon. So until that certain dream comes true, don’t be foolish enough to expect any changes around here either. Coming Soon – Hey Supreme Court: What’s Holding Up The Gardiner Opinion? ; Why does Satz hire ASA’s who admit to prior illegal drug use? WHO WILL THE NEW COURTHOUSE BE NAMED AFTER? I was reminiscing with my brother on the phone this morning and we remembered when our dad, who was then a State Assemblyman in New York traveled to Washington to attend and support Dr. King’s march. I remember him telling us all about Dr. King’s speech and its importance to advancing civil rights in our country. As we prepare to celebrate Dr. Martin Luther King day, please take time to remember the purpose of this observation and how we, as the judicial branch can continue to advance equal justice for all who appear in our courts and honor Dr. King’s legacy. Coming Soon – the 17th Circuit spent how much on senior judges in 2013? CNN – Why are lawyers killing themselves? We hold that liability for a defamatory blog post involving a matter of public concern cannot be imposed without proof of fault and actual damages … Federal Court of Appeals Opinion. A panel of 9th Circuit judges rules that bloggers have the same 1st Amendment protections as traditional news media … Los Angeles Times. Will this have any bearing on the Florida Bar’s restrictions on attorney speech? And will a lawyer be able to bypass Bar rules by starting his/her own blog? Will Rumpole and Captain now reveal their identities? Coming Soon – are 17th Circuit judges tacitly encouraged to send people to prison to ease county jail overcrowding? There’s a JQC teleconference today at 2:00 PM in the ongoing slugfest between special prosecutor Miles McGrane III, Laura Watson, and the tenacious Robert Sweetapple. Anyone can listen in by dialing 1-888-670-3525, and mashing access conference code 3811089615#. The Notice of Hearing is here, and the link to all the amusing and voluminous documents filed thus far is here. Incredible shrinking story – the Sun Sentinel published an update on the Randy Tundidor death penalty case online earlier today. Unfortunately, you can only read the truncated story now, because all references to Alexander Imperato’s recent DUI arrest have been deleted. Originally there was some detail concerning the allegations of the younger Imperato’s case (PC says he blew .000/.000, but refused to provide a urine sample), and a quote from Richard Rosenbaum as to whether or not a second DUI defendant named Imperato would have any bearing on his ongoing efforts to get Tundidor a new judge. But if you blinked, you missed it, because the full story was scuttled soon after publication. It’s all very curious. As has been pointed out in the Comments Section, the Sentinel had no problem running stories concerning the DUI arrest of the daughter of Mary and Mike Robinson, both Broward judges. Of course, a death penalty conviction wasn’t on the line, and neither of the Robinsons’ careers were in jeopardy, like Imperato’s is at the moment. In any event, since news of Alexander Imperato’s DUI broke on Tuesday, the Sentinel still hasn’t run the story, unless you count today’s embarrassing take-back. In an effort to find out what happened, we contacted the article’s author Rafael Olmeda, who declined to comment (surprise). And having learned back in November when battling over a credit beef that it’s next to impossible to get an editor on the phone to explain anything, we quit trying. Florida Bar Website Problems – still clicking over to a Network Solutions This Page Is Under Construction – Coming Soon! site featuring ads for restaurant equipment as of the time of this post. Did someone forget to pay their bills? 1.) Ron and Mike Rothschild, last week; 2.) Palm Beach’s Nancy Perez, during Bar v. David Stern trial last Fall; 3.) Matt Destry and the JNC’s Jaime Finizio-Bascombe, last week. All eighteen applicants hoping to replace O’Connor will be interviewed this Friday at the BCBA, from 1:30-5:00 PM. ” … Senate President Don Gaetz, R-Niceville, had another explanation (for the prison spike) — Broward County. With a new sheriff and judges, the lawmaker said it appeared the crackdown was driving up the statewide increase. According to state economists, Broward led the state increase in new prison commitments in the 2012-13 fiscal year, with new commitments increasing from 1,684 prisoners to 2,182, a 29.6 percent spike. That trend was continuing in the 2013-14 fiscal year, with Broward leading the state in the number of new prisoners it produced. What do you think is the problem? The judges? The Sheriff & SAO? Or the PD/Defense Bar? Coming Soon – Does Debra Stephens have an opponent? ; Peter Weinstein wants another term as Chief Judge; Has anybody seen Relief 1?